Theodoros was recruited through the Association of European Border Region’s (AEBR) Interreg Volunteer Youth program, which in turn discovered him through the European Solidarity Corps portal, a new European Union initiative to enable young people to volunteer in projects, actively working for the benefit of local communities all around Europe. 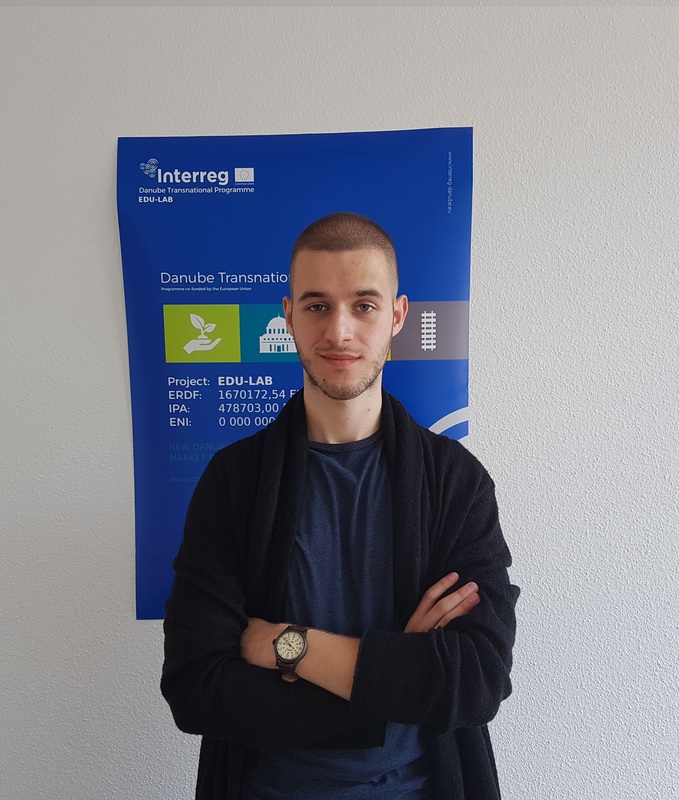 Theodoros helped us by putting his IT skills to use, for example by participating in the development and testing of the e-learning courses we are currently working on and maintaining the project’s website and newsletter. He was also involved in communications with our project partners through both exchanging e-mails with them and teleconferencing, doing design work and preparing a transnational workshop taking place in Maribor, Slovenia. We were very excited to be working with Theodoros. We wish him all the best for the future! EDU-LAB has joined the “Interreg Volunteer Youth“ Programme. We are currently reviewing the candidates and are looking forward to welcoming one of them at the premises of the Lead Partner, the European Foundation for Education in Stuttgart. IVY is a pilot action to offer the possibility to young Europeans aged 18-30 to serve as volunteers in cross-border, transnational or interregional programmes and related projects. Being solidarity and volunteering at the heart of IVY, this initiative is part of the European Solidarity Corps.